Archeide S.C.A. SICAV SIF gives selected institutional and qualified investors the opportunity to invest in Alternative Investment Funds. We offer the chance to invest in a range of differentiated ethic funds, which pool together a clear mission, promising potential assets, tangible results, and a management that has demonstrated professional and moral values. Our main objective is the support and the sponsorship of the companies and of the projects we believe in. Although our Funds exhibit different profiles, objectives, strategies and investment horizons, they all share a valuable common feature: they offer one of the most interesting risk/reward relationships on the market. Audentia Capital Group is a “boutique” of investment services composed by several companies under Maltese regulation, and therefore subject to the laws of the European Union. Regulated by the MFSA (Maltese Financial Services Authority), and, under the umbrella of the European Regulator, ESMA (European Securities and Markets Authority), ACG offer services not only as an Asset Manager but also as an Investment Platform, structuring Investment Funds tailored to the needs of its clients. Audentia Capital Management Ltd. It is an Investment Fund Manager, under the category “De Maximus” of the 2011/61 AIFMD Directive for Alternative Funds. Both, the Management Company and the sub-funds managed by the latest, can be passported to any European jurisdiction and in several OECD jurisdictions. Audentia Capital Sicav II p.l.c. Like the previous one, this Sicav “umbrella” manages a great diversity of Investment Funds. It is regulated by the MFSA (Maltese Financial Services Authority) with license number SV388 and is subject to the European Union Directive for Alternative Investment Funds (2011/61). Audentia Capital SICAV-RAIF, an investment company with variable capital – reserved alternative investment fund incorporated as a public limited liability company, with registration number B225381 subject to the Law of Luxembourg of 23 July 2016 on reserved alternative investment funds and managed according to the European Union Directive for alternative Investment Funds (2011/61). From its establishment in 2000 in Zug, Switzerland, Best Vision has been acquiring different entities operating worldwide in technology and services in Finance sector and, more recently, in Entertainment, Industry and Consulting. The Holding mission aims at coordinating the activities of the participated companies according to the objectives and strategies of the group, traditionally committed to the principle of Swiss quality. Sharing of expertise and synergistic relationships between the group entities are essential for a progressive diversification and evolution of the core business, from the software products development to the offer of Information Technology and Back Office services in outsourcing, from the definition and implementation of new business models to the new frontiers of the multimedia communication. Consultique SCF S.p.A., founded in 2001, is a leader in Independent Financial analysis and consultancy in Italy. We are remunerated exclusively from clients in order to ensure that there are no potential conflicts of interests. The Pension Funds and ETF ratings are published by “Il Sole 24 Ore” every week. CEO and President Cesare Armellini, Studies and Research Centre Director Giuseppe Romano, and Commercial and Communications Director Luca Mainò, were the co-founders of Consultique and are the authors of Il Sole 24 Ore’s Guide to Independent Financial Consulting. Administrative Counselor Massimo Emanuele Armellini, is the Marketing Director and responsible for our external relations. In addition, investors will be able to benefit from the professional expertise of the Studies and Research Centre to select the best asset managers and allocations in the world. COPERNICUS ASSET MANAGEMENT SA is a asset management company specialized in managing complex patrimonies. Thanks to our team of professionals with multidisciplinary skills and international expertise in managing both traditional and alternative asset classes, Copernicus Asset Management SA is able to offer a constantly updated range of asset allocation services, management of both customized and standardized portfolios, selection of asset managers, and risk management services. 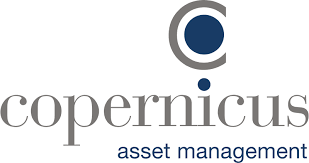 Copernicus Asset Management SA aims to become a leading Swiss center of excellence in financial services for institutional clients including pension funds, insurance companies, small and medium-sized banks, asset managers and UHNWI clients. Passion. Expertise. Quality. Discipline. Alignment of interests. These are the five principles that guide Copernicus Asset Management SA in their daily activities. By combining a “top-down” and “bottom-up” approach and investment choices based on qualitative and quantitative assessments, Copernicus Asset Management SA creates balanced, diversified portfolios in line with the client’s individual requirements, knowledge and risk propensity. The objective is to achieve solid risk-adjusted returns over the long term. Degroof Petercam Asset Management (DPAM) is an independent active asset management firm part of a family owned group with its origins in 1871. DPAM is a sustainable investor, pioneer and innovative in responsible and sustainable investing. The firm integrates ESG across asset classes and themes and it is an active owner. DPAM has a strong focus on research with a proprietary in-house fundamental and quantitative analyst teams (credit, equity and responsible investment) that interact with each other, supporting the firm asset management activities. The company manages investment funds as well as discretionary mandates on behalf of institutional clients, and currently manages over 33 billion euros, with over 135 investment professionals. DIAMAN Partners, registered, incorporated and authorised in Malta by the Malta Financial Services Authority (the “MFSA”) in terms of the Investment Services Act (Chapter 370 of the Laws of Malta), is a private exempt limited liability company based in Valletta (MT) whose objects and activities are to provide reception, transmission and execution of orders, placement of instruments without a firm commitment; nominee services, investment advice and portfolio management to professional clients (excluding collective investment schemes) and retail clients in relation to the investment instruments. The Company has realized a platform www.openphinance.com for managed account open to third party aiming to disrupt the actual financial distribution models. ENG Diaman tech develops technological solutions for the financial world to help his professional investors to streamline their investment decision process, reducing financial risks and discover new opportunities in the financial markets. DWS Group (DWS), is one of the world’s leading asset managers with EUR 692bn of assets under management (as of 30 September 2018). Building on more than 60 years of experience and a reputation for excellence in Germany and across Europe, DWS has come to be recognized by clients globally as a trusted source for integrated investment solutions, stability and innovation across a full spectrum of investment disciplines. Deutsche Bank AG is the majority shareholder of DWS. DWS wants to innovate and shape the future of investing: with approximately 3,600 employees in offices all over the world, we are local while being one global team. Etica Sgr was founded in 2000 on the conviction that analyzing issuers (businesses and countries) from an ESG viewpoint can deliver greater value in terms of performance. Etica Sgr sustains a constant dialogue with the management, and exercises its voting rights in the shareholders’ meetings, of the companies in which its funds invest, in order to urge companies towards more responsible behaviour and help them achieve this goal. By embracing ESG criteria, codified in a transparent methodology (UNI EN ISO 9001:2015 certified) we are able to manage risk more effectively and seize interesting investment opportunities. The company has signed up to the United Nations Principles for Responsible Investment (PRI) and was the first Italian SGR to make concrete a commitment on climate change by signing the Montréal Carbon Pledge beginning in 2015. EXRATES is a modern cryptocurrency exchange which is rated in TOP-20 according to Сoinmarketcap platform. The daily trading volumes exceed $170 million. More than 150,000 active monthly users with over 512 trading pairs. One of the advantages of Exrates is that you can deposit/withdraw through wire transfer, credit cards and payment systems, which is quite convenient for traders. In order to facilitate trading, EXRATES has launched Prediction Service which is in the know of upcoming pumps and dumps. There is 24/7 support at Exrates which can give answers to all the questions concerning trading. EXRATES is getting ahead step by step being oriented on the users and following their preferences. The constant improvements raise the credibility of the exchange and attract the most demanding traders. GruppoARC is the unique contact point that video-connects companies and savers to the capital market, simply with a smartphone and keeping human contact at the centre. ARC4People make access easy for all financial products, even the ones that are hard to reach through traditional channels. It takes over financial products from intermediaries and companies to take them to each saver on his smartphone, through group-owned company FD Fiduciaria Digitale which facilitates the execution of all the investment choices without interfering with them, regardless of the chosen issuer, instrument, intermediary or amount. Thanks to exclusive video-identification and VideoSignature technologies, FD Fiduciaria Digitale is always available and operates without conflicts of interest, executing every investment against a flat fee, which is not proportional to amounts handled. Invenicement è il primo Financial & Business Club dell’Università Ca’ Foscari di Venezia, una piattaforma grazie alla quale gli studenti interessati al mondo della Finanza e del Business possano integrare le loro conoscenze specifiche e mettersi in gioco in prima persona attraverso le varie iniziative proposte e che essi stessi proporranno e contribuiranno a realizzare. Innovation, Independence, Clarity: the basis of INVESTORS’, the species evolution in the financial publishing, the Agorà for professional consultants and investors, the finance for an aware future. With its modern and interactive format, INVESTORS’ is the investment Culture platform in Italy: elegant paper and digital magazine, INVESTORS’ Tour Events, Webinar and periodical newsletter. J O Hambro Capital Management (JOHCM) is an active asset management company with a performance-led culture. From offices in London, Boston, New York and Singapore, its fund managers manage €30.7 billion of assets (at 31.12.2018) across a range of high conviction, long-only equity strategies and a recently-launched multi asset fund. JOHCM aims to give its fund managers full investment autonomy – there is no ‘house’ view on investment style, economies, markets, sectors or stocks. MarketPlus.ch is a new independent publishing website specialized in economic and financial information. It offers different point of views on topics that are vital for all the stakeholders of a global financial community. MarketPlus.ch aims to become the reference point for the whole Swiss financial community being written in english (the “financial language”). MarketPlus.ch offers also a unique opportunity becoming part of its editorial project. Companies with strongh know-how and skills on specific topics, can publish articles becoming contributors of MarketPlus.ch. The visibility of contributors is also and above all granted by the creation of their own branded page, where are collected all published articles, interviews, videos, analysis, … and where readers can find all the main info about the company (logo, description, contacts, list of main services/products..). Mondo Investor, the evolution of MondoHedge, is a professional publisher specialized in financial information reserved to professional investors. The company, which has grown over the years relying on a high degree of competence and accuracy of contents, is now active through three different research and editorial initiatives which have their focal point on MondoInstitutional, MondoAlternative and MondoETF websites. A further important and well-structured activity is the organization of events, organized throughout the year, that are becoming more and more appreciated thanks to the high quality of the topics and the remarkable delegates involved. Moreover, the company publishes the monthly Italian magazine MondoInvestor and the quarterly English magazine MondoInvestor providing insights, analysis, interviews, researches, and investment ideas on specific and topical subjects about the asset management industry, with a primary focus on the Italian market. P2PB2B exchange is a platform for trading cryptocurrencies that was launched in 2014. 4 years later, the team of the project has introduced a completely updated exchange in accordance with the needs and requirements of crypto market players. The platform is focused both on the B2B sector and individual traders and provides a wide range of benefits for its users. The daily trading volume of the exchange exceeds $ 200 million. Quantalys, società indipendente fondata nel 2007 in Francia e attiva dal 2016 in Italia, è una piattaforma online di supporto ai professionisti della gestione degli investimenti. Le nostre analisi su prodotti finanziari e portafogli sono basate su un approccio quantitativo e statistico che supporta i consulenti nella creazione dei migliori portafogli in fondi in base agli obiettivi finanziari dei clienti. Quantalys si è specializzata inoltre nel settore del data provider creando il proprio database. Oggi Quantalys è uno degli attori leader del mercato francese e si è rapidamente affermata come una delle belle novità del mercato italiano. The SEB Group provides banking & financial services and insurance services to private customers, corporates and institutional investors. SEB was founded in 1856 as one of the first commercial banks in Sweden. Since then SEB has become a major financial institution, committed to deliver customer value, building on the strong heritage of entrepreneurship, international outlook and long term perspective. 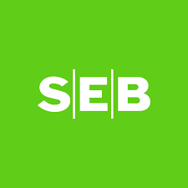 The SEB Group is one of the largest asset management houses in northern Europe and offers a broad range of funds and tailored portfolios to individuals, corporates and institutional investors. – CERTIFICATES: a remarkable products range on numerous underlyings and with several simple and innovative structures for both investment and trading; in 2012 SG became the first issuer of daily leveraged certificates, currently the most traded instrument on SeDeX. In 2016, SG expanded its product offer with investment certificates including an innovative protection mechanism (Protection PLUS+). In 2018, SG listed a new payoff for ranging markets, called Corridor. – BONDS: since 2015 SG has developed a wide range of bonds in EUR, USD and the main emerging currencies. – COVERED WARRANT: SG offers more than 1000 CW on equities, indices, FX and commodities. 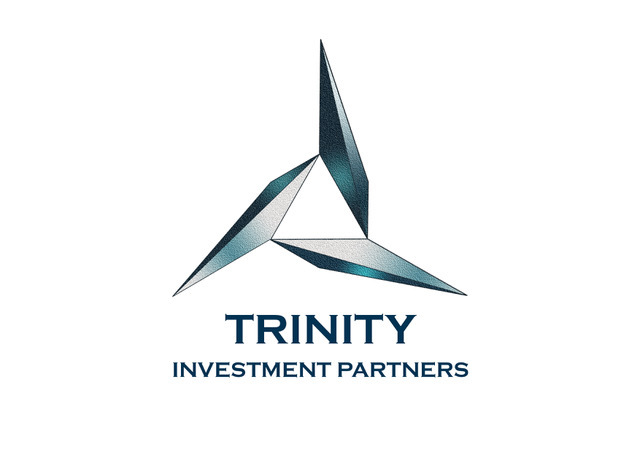 Trinity is an independent financial intermediary firm focused on the investment needs of Europebased Institutional investors. Our highly skilled and long experienced team has strong relationships with well established asset managers from one side and large institutional clients from the other side, including: pension funds, insurance companies, funds of funds. Trinity provides a first class service to help asset managers in accessing a large array of institutional investors and in fulfilling their financial investment needs. The UCL Centre for Blockchain Technologies (CBT) provides a cross-sectoral platform, which drives the adoption and integration of Blockchain and Distributed Ledger Technologies into our socio-economic system. Founded in 1990, UniMoney is a leading company in the linguistic services sector, specialized in the economic, financial and legal field. TRANSLATIONS of financial, legal, technical, IT and journalistic texts (financial statements, fund and stock exchange reports, bank documents, contracts, appraisals, presentations, press releases, manuals, articles, websites, etc.). We translate from and into all languages, in particular the main European languages: English, French, German, Spanish, Portuguese and Dutch. Our translators are mother-tongue professionals, specialized in their respective work sectors and with many years of experience. Our translations are given special added value by the fact that they are all carefully checked. Each text is translated into another language by a native speaker and is subsequently reviewed by a colleague to ensure a very high quality end product. Vontobel is one of the main issuers of Certificates and Covered Warrants in Europe. With its head quarter in Zurich and as an independent Swiss private banking group, Vontobel embodies the values that distinguish the Swiss model of success: professionalism, solidity, credibility, quality and precision. In Italy, in terms of turnover, Vontobel is currently the third issuer on the SeDeX of Borsa Italiana and it offers the widest range of Constant Leverage Certificates, with over 192* instruments on indices, stocks and commodities. In 2018, Vontobel expanded its product offering with the Tracker Certificates on thematic indices: this new investment solution is aimed at customers looking for attractive and innovative products in the medium/long term. Sixteen investment themes are now available, including the Blockchain, 5G Technology, Artificial Intelligence, Industry 4.0. The website certificati.vontobel.com is dedicated to the product offer of Certificates and Covered Warrants in Italy and to Vontobel services. In particular, investors can keep up-to-date with our newsletters: “Weekly Note” and “Investment Idea” focused on underlying analysis and the latest market news and “Investv on air”, the newsletter dedicated to Investv, the web-tv sponsored by Vontobel, dedicated to intraday trading and medium/long-term investments. Would you like to receive the Vontobel newsletters?